Submitted Photo Southern Ohio Medical Center recognized local students who have been accepted into medical school at its annual Pre-Med Dinner. Each student was presented with a Stedman’s Medical Dictionary. Present at this year’s dinner were, from left to right, Will Angelos, Rebecca McKnight, Elijah Kelley, Logan Beckett, Mathew Saab, Sonja Porter, David Pettit and Evan Sommer. 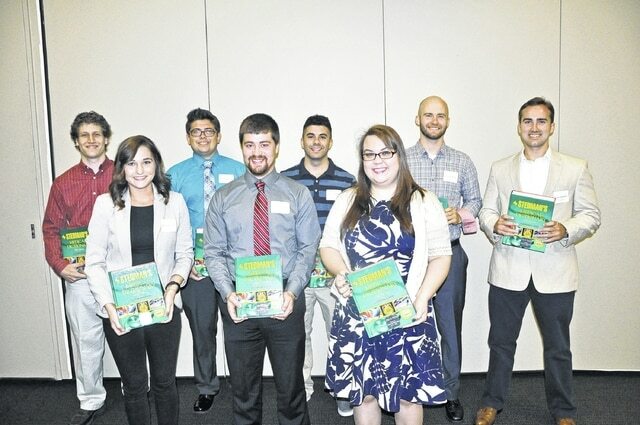 Southern Ohio Medical Center recognized local students who have been accepted into medical school at its annual Pre-Med Dinner. Each student was presented with a Stedman’s Medical Dictionary. Present at this year’s dinner were, from left to right, Will Angelos, Rebecca McKnight, Elijah Kelley, Logan Beckett, Mathew Saab, Sonja Porter, David Pettit and Evan Sommer.